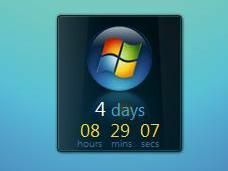 Microsoft has taken the unusual step of releasing a statement crushing speculation over the successor to Windows Vista . An internal codename for the operating system - Vienna - has been in use at the corporation since 2000. The declaration came from Kevin Kutz, the director of Microsoft 's Windows Client division: "The launch of Windows Vista was an incredibly exciting moment for our customers and partners around the world, and the company is focused on the value Windows Vista will bring to people today." "We are not giving official guidance to the public yet about the next version of Windows, other than that we're working on it. When we are ready, we will provide updates." So that's it: they're working on it. The previous speculation over Vienna came as a result of a Microsoft speech at the recent RSA Security Conference in San Francisco. Ben Fathi is involved in developing the new OS. Fathi said the development of Windows Vienna will take about as long as the period between Windows XP Service Pack 2 and Windows Vista - in other words about two and a half years. Given this information, we speculated earlier this month that Windows Vienna could be on sale by the end of 2009 , a considerably faster turn-around time than the five years it took to go from Windows XP to Windows Vista. Microsoft CEO Steve Ballmer has previously said that there will never be another five year gap between operating systems.